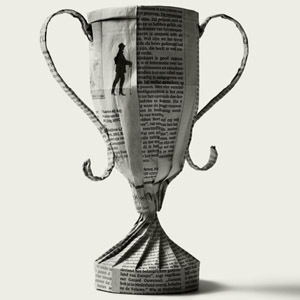 The trophy is a multi-piece origami sculpture, and was folded from four sheets of paper. The cup and stand are slotted together, but the handles were glued into place. This ad was produced to coincide with the Euro 2004 football (soccer) championship.